AM3+ platform has been popular and widely available for many years. Although, newer Ryzen processors came, but AM3+ CPU’s popularity is still widely spread. There are obviously no significant changes made to AM4. 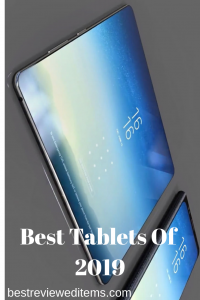 That is why we have prepared the list of Best AM3+ CPU in 2019 list that are still available for sale on e-retailers. Available for just 41 dollars, this is one of the cheapest quad-core CPUs available in the market. It is used though, but it is worth its price. Operating Frequency is 3.2GHz, but it can easily be overclocked up to 4.5GHz. It comes in a box and with a cooler. The TDP is 95W and Cache is 2MB. This is one of the most legendary CPUs of the Phenom era. 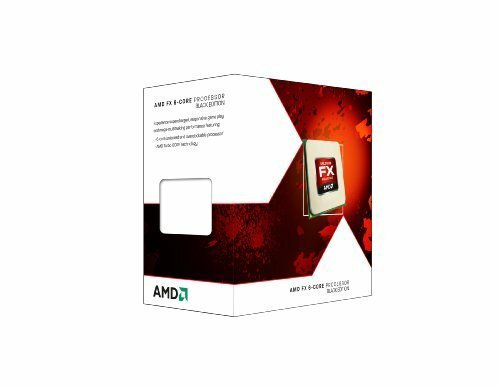 If you are looking for a good and cheap best AM3+ CPU just to replace your current CPU, this is one of the best choices. At $41 there is almost no other option available on the market. These processors provide some good performance, maybe not enough to beat current generation processors in terms of gaming or productivity performance. However, this processor is capable of great performance. Paired with good motherboard, RAM and graphic cards, this processor can become a heart of a value gaming PC or office PC. This one is the cheapest of the best AM3+ cpu list with new quad- core CPU available for AM3 platform. So far it only has two rivals, which are Athlon x4 950 and more expensive Intel Pentium g4560. In terms of performance, this CPU is on par with Pentium G4560 and faster than x4 950. One of the strongest selling point for this cheap is that it uses DDR3 instead of DDR4 used by X4 950 and g4560. DDR3 is cheaper than most DDR4 models. Furthermore, most of us already own some used DDR3 in our older systems. Especially, if we already have AM3 compatible motherboard and RAM, This will be much better value for money option. Even if we do not own any motherboard or RAM, buying new AM3 socket motherboard or DDR3 RAM will be cheaper than buying AM4 or LGA 1151 motherboard with expensive DDR4 RAM. This CPU has four physical cores with four threads. The base frequency is 3.8GHz with boost frequency of 4.0GHz. It has a 4MB L2 and 4MB L3 cashes. The TDP is 95 watts. This is the cheapest six core processor available in the market. For just slightly above 80 dollars, this is a nice CPU. For many years budget builders used this CPU to build something that supports six cores and could perform at a very good level and even rival Intel i3 processors in the gaming and productivity performance. However, it is nowhere near as fast as i3 CPU, however it much faster than FX4300, Athlon x4 950 and Pentium g4560. When compared, it is close in performance to Ryzen 3 1200, maybe just around 10-15% slower than Ryzen, Ryzen requires new motherboard and faster DDR4 RAM which are much more expensive as a total build, while FX6300 costs 30 dollars less than Ryzen. Plus it costs only half of six core Ryzen 5 1600 CPU. Overall, this is a good processor with decent performance for its price. It has six physical cores with 6 threads. Base frequency is 3.5GHz and boost clock of 4.1GHZ. It has a 6MB L2 cache and 8MB L3 cache. TDP is same with FX4300, which is 95 watts. This one is the cheapest eight core CPU available on the market today. While priced just above $100 this is a good product to consider. This is one of the best am3+ CPU has a base clock of 4.0GHz and boost clock of 4.2GHZ. It comes with eight physical cores with eight threads. It has 8MB of L2 and 8MB L3 cache. It does not provide a best performance for this price point. Especially for gaming it is still a bit slower than other CPUs at this price point. However, this processor compensates with great productivity software performance. When it comes to video editing or 3D design, this is a great value. It provides decent performance in those applications due to the high cache and 8 cores. This CPU was a great value choice for many builders. They will buy it and overclock it easily. When overclocked this processor has a great performance. It gets hot and power consumption increases a bit too, but with great cooler it is a great overclocking CPU. Overall, this processor has a balance of gaming and productivity performance, reasonable power consumption and attractable price. This is last AMD’s best AM3+ CPU/processor with eight physical cores and eight threads. By costing just like AMD Ryzen 3 1300X, it provides higher clock speeds and eight cores. It does lacks in terms of per core performance, but because it has eight cores it compensates with powerful eight core performance in many productivity works. Out of the box it comes with frequency of 4.7GHz base and 5.0GHZ boost clocks. Just like FX8350, it has 8MB L2 and L3 caches. This processor has two drawbacks though. One is that it does not come with a cooler and second one is that it has a TDP of 220 watts. This is a great eight core CPU for those who just want to buy and use the processor without overclocking it. However, those who wants to overclock, it support overclocking too and it can easily be overclocked to 5.5-6.0 GHz. This processor has been used by many overclockers for overclocking during overclocking events or beating some records. Good thing about this processor is that it can handle extreme overclocking. If you want great performance for just 130 dollars and do not mind the power consumption, this processor is a great value for you. Those who already own a AM3+ motherboard and wants to upgrade their processor only, this one is great too, because it provides the best performance for this platform. Legendary Phenom II Processors are still rocking nowadays, thanks to AMDs promise to support for AM3+ socket production. Any person still might use Phenom II x4 series due to its fully fledged 4 cores and 4 threads. Specifically, core named Deneb for Phenom II x4 945 packs 6MB Level 3 cache which is a great number of cache for multitasking and rendering. Base frequency is 3GHz across all cores. Luckily, you still able to get new gaming motherboard that supports this particular processor such as ASRock 970A-G/3.1, MSI 970 GAMING and ASUS M5A78L-M Plus/USB3. Eventually, DDR3 RAM support is really impressive because it can save your pocket money tremendously. Meanwhile, DDR4 RAM prices are hiking year over year basis here this CPU coming to help with cheaper DDR3 support for less cost. Surely, this CPU is used and sold by trusted sellers in US and across Europe for very cheap price. Amazingly, Phenom II x6 1090T is around these days and kicking some multithreaded tasks as usually it does greater than you think. Those 6 cores will help you to finish editing, gaming and office work experience faster with efficiency of just 125W. Of course, if you’ve got some copper filled CPU cooler such as Hyper 212 then this processor is a right choice. Base frequency is stick with 3GHz and amazingly turbo clock is 3.6GHz. It possess unlocked multiplier which is in other word called Overclocking feature. Whooping 6MB level cache is amazing support for quick editors and gamers to load their apps and games. All in all, this processor never dies in market due to its future proof characteristics and scalability to new AM3 motherboards. We strongly recommend 6 cores processor for latest games like Assassins Creed Origins, Watchdogs 2, Mafia 3, Witcher 3, Far cry 5 and Ashes of Singularity since these games are using 6 cores and above processing power. In US and UK market Phenom II X6 1090T is considered as value for money King among budget seekers. Believe it or not, this CPU is still the gaming king for budget users. Phenom II x4 955 loaded with 3.2GHz clock speed, 6MB Level 3 cache and 4 real cores are not jokes. Latest AM3 motherboard like AsRock 970A-G/3.1 can easily achieve stable clock speeds and delivering the power efficient CPU management. DDR3 RAM support is a sweet spot for Phenom II series because in a real time gaming performance there is no Frame Rate difference between DDR4 and DDR3. We endorse this fantastic legendary Phenom II x4 955 for budget builders who play and study with peace of mind when it comes to multicore performance and value for money tendency. Fortunately, serious builders still can stick with Phenom II series around since AMD continuing support for AM3+ chipset. Athlon series processors are the classic gaming brand since the inception in 2005. Little bit a history lesson here, when Athlon came out to light the Pentium series CPU were 2 steps behind in terms of everything back then. However, Core 2 Duo processors really gave Athlon the hot competition since 2008. Anyway, Athlon II x4 640 is considered as a budget king till nowadays because 4 cores really matters the most to stay in an incredible competition. 2MB level 2 cache is enough for nostalgic games and basic office tasks. Base clock is impressively 3GHz with no turbo boost and this CPU is not allowed for overclocking feature. In a nutshell, Athlon x4 640 is entry level CPU for those whose budget very tight to save more for GPU or other components in order to play latest titles on low or medium presets. Athlon II series had a pretty good run in gaming industry. They are just ought to be sweet spot for budget gamers who wants bigger taste of heavy triple A titles like Crysis, Arma, Batman, GTA or Assassins Creed franchise. Here we have the last of its kind processor Athlon II x4 645 with staggering 3.1GHz and fully functional 4 cores with 2MB Level 2 Cache which can push the GPU performance in Crysis and Assassins Creed series with stable frame rates. Memory support might be DDR3 or DDR2, anyway you may find DDR3 memory kits to be precisely cheaper and available in any stores in US and Europe. We got to tell you that building new system with this CPU is really worth when DDR4 memory kits and latest GPUs are quiet expensive for budget folks. Therefore, upgrading to Athlon II x4 series is a serious refresh for your old system. There are several reasons why many people are trying to buy these processors right now. First of all, there are huge discounts on this products. Many shops are trying to sell them off, so they cut the prices for those processors drastically. They are available at half price or even some at a portion of its original price. Same goes to the AM3 motherboards, they are also on sale. Because of these sales and promotions the shops provide, many people are trying to get their hands on this platform. This makes AM3+ socket CPUs a great value products. Secondly, there is a wide variety of AM3 motherboards and DDR3 RAM used with these CPU. Since this processors were just recently replaced by Ryzen family, there are many new motherboards available in the market for those CPUs. Yes they are outdated and lack some functions. However, for someone who does not look for those functions and happy to add a card to add support for USB3.0 or SATA3. This socket is a great value. DDR3 is also very widely available, unlike DDR4 which is very expensive even for budget models. DDR3 is available everywhere used or new and the price is just a half of DDR4 price. Thirdly, many high end best AM3+ CPU are being replaced with new Ryzen CPUs that are designed for list of best processor for gaming. The market is flooded with used best AM3+ CPU and motherboards, as well as DDR3 RAM. 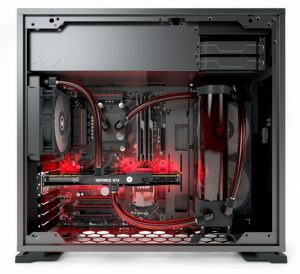 Anyone could just buy a system like that and upgrade the processor, add some RAM and maybe change the graphics card and he is ready to go. Not many other sockets have this option of buying used system and easily upgrading it. Many Intel’s older platform does not have new motherboards and if they break, then they just break and there is no way to replace their motherboards. AM3+ platform does not suffer from this issue, as both RAM and motherboards are widely available as new or second hand. Lastly, they still perform well and with recent price cuts they are great buys. Sometimes they can perform as fast as Ryzen 3 processors and even beat them in some gaming tasks or productivity work. They provide great performance at a lower cost and with wider available RAM and motherboards, they can make anyone satisfied and happy with their performance. First of all, best AM3+ cpu does not support latest technologies. 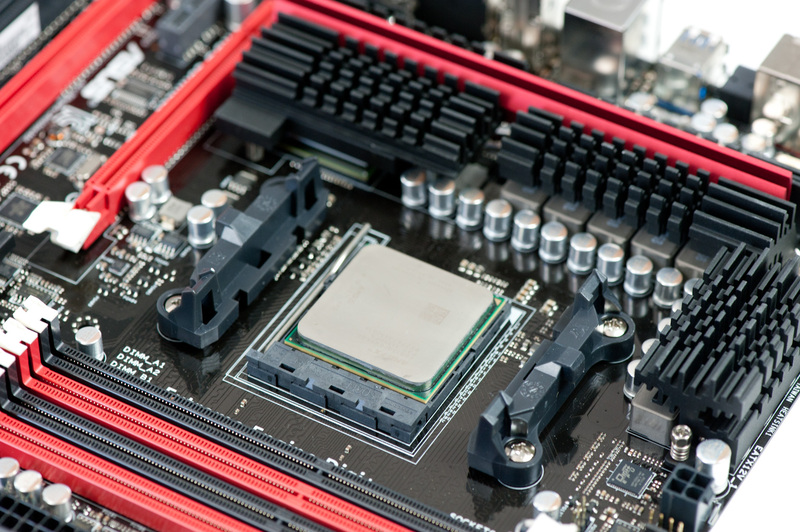 Many of those motherboards do not support USB3.0, SATA3 or PCI- Express 3.0. They also do not support some other technologies. Some people might need to use those technologies and it might be crucial for their work or study. The motherboards that support those functions cost higher than average and for those who just want to add extra cards to support those functions it will be costly and the person will have to choose between those cards as the PCI slots will be limiting on what kind of cards the person will be adding. This will ruin the budget aspects of this build adding additional cost. This way it will be as much as expensive as buying Ryzen 3 or Ryzen 5 with expensive DDR4 memory. Second issue with this platform is that the processors does require more power. Their TDP is huge and even reaching 200W for some of the higher end models. This might not be a big deal for someone, but for others this is an added cost for electricity and require upgrading to a more powerful power supply unit. Because of their poor power consumption, they lose in terms of performance per watt. These processors might give a great value today but will come with higher cost later. Lastly, this platform has no upgrade path. If going with latest platform, not that they have the latest technologies, but they also provide an upgrade path. Some people might buy a budget CPU and later replace it with more expensive and higher performance ones. However, with AM3+ platform there will be no more new processors coming out or new motherboards that will be available in the future. The buyer will be left with this system and will have to go for used products instead of buying a new ones. New platform did bring better performance and lower power consumption. However, AM3+ platform is still holds its ground. The motherboards and CPU are widely available in used parts markets and even available new at just fraction of their previous cost. Since many switched to new platform and demand for these processors and motherboards is not as high as it used to be, many retailers sell them at a great discount to finish their stock. This makes them a great value buys at a cheap price. They have many benefits such as cheaper cost buying, widely available components and great discounts. Those benefits will be discussed later in this review. This great value and cheap components make this platform as a great value purchase. Many people can get a great performing processor with high end performance motherboard at a very low prices. They are also cheaper because they require DDR3 instead of DDR4 RAM for new generation processors and motherboards. We all know that DDR4 prices are very high right now and they sometimes cost as much as processor or graphics card. With pairing with great entry level GPUs like GTX1050TI, GTX1060 or RX570, AM3+ platform can create a nice gaming rig with budget price tag. Those who are looking for great value budget best AM3+ CPU that provide great performance at a low cost have found the right post. They are great, reliable and can be easily overclocked to add extra performance. Since they are not very popular and the demand is low, many shops sell them at low price. Same goes to Amazon that sells them at very low price. At those prices they provide a great performance. They also have many new motherboards that are available for sale, both new and used. Furthermore, they use cheaper DDR3 RAM as compared very expensive DDR4 used by many new processors. AMD FX4300, FX6300 and FX8350 are great processors that provide great performance with reasonable power consumption at low price. AMD FX 9590 is the best performance processor for this socket, but it suffers from extremely high power consumption. If it is noty an issue for you, then this is a great performance CPU at just 130 dollars.